Gulf States Industries is located at 7222 Washington Street, New Port Richey, Florida. The Gulf States Industries’ representative having overall responsibility for the proposed services would be Chris Tsambis, Vice-President and co-owner of the corporation. 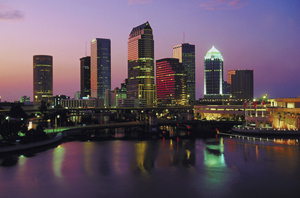 Gulf States Industries is licensed to do business in the State of Florida. Gulf States Industries, Inc. has been in business in the State of Florida for over 25 years. Over this time period it has developed an outstanding reputation for the quality of work it performs and has always had a commitment to abide by all Federal, State and regulatory provisions. to respond to this District’s projects and roof maintenance needs in a timely fashion. This experience and commitment to service is regularly provided to each and every project we undertake. Gulf States Industries Inc. is centrally located affording it the ability to respond quickly to service our customers’ needs. We have an experienced crew of roofers, and sheet-metal journeymen giving us the ability to send them as teams to different locations, providing more coverage in any area needed. As a local company with over twenty-three years of experience in the roofing industry, we feel confident that we have the ability and are qualified to provide outstanding service to any project we undertake. We are familiar and experienced in working on government sites, both during the business day and at other times. We are extremely aware of the need for safety and the responsibility we have to provide a clean work area and to leave all job sites in excellent condition upon the completion of each job and at the end of each day. We feel comfortable that our references will confirm this confidence. We maintain in-house, an approved Army Corp. of Engineer’s, Quality Assurance program and Safety Program. We continue to work on all aspects of safety and compliance with workers compensation insurance thus annually reducing our rates for exposure. Our employees pride themselves in a job well done and in maintaining the reputation of Gulf States Industries throughout the State of Florida in the roofing industry.